As a follow up to the fake Steve Jobs biography story I just wrote about. I probably should have mentioned that Steve Jobs real biography is available at Amazon for pre-order. 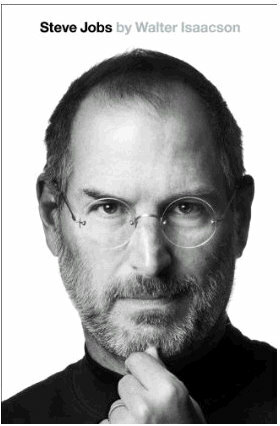 You can now pre-order your copy of Steve Jobs biography, written by Walter Isaacson, the CEO of the Aspen Institute, for $20.60 which is a 37% discount from the retail price of $32.50. You can also get the Kindle edition for $16.99. Steve Jobs is due to be released on March 6, 2012. Driven by demons, Jobs could drive those around him to fury and despair. But his personality and products were interrelated, just as Apple‘s hardware and software tended to be, as if part of an integrated system. His tale is instructive and cautionary, filled with lessons about innovation, character, leadership, and values. Walter Isaacson, the CEO of the Aspen Institute, has been chairman of CNN and the managing editor of Time magazine. He is the author ofBenjamin Franklin: An American Life and of Kissinger: A Biography, and the coauthor of The Wise Men: Six Friends and the World They Made. He lives in Washington, D.C., with his wife and daughter.